The big Ikea box on Beard Street keeps getting bluer and bluer and the formerly narrow cobblestone street is getting wider. 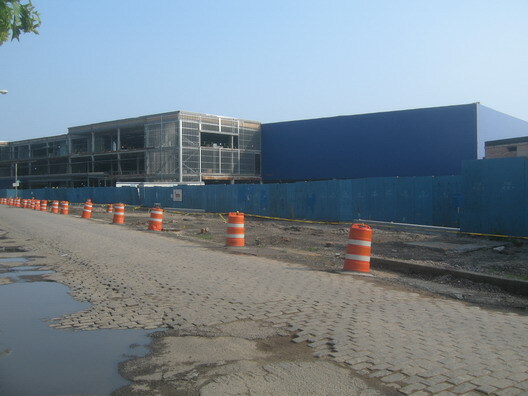 You can see both things going on in these photos, which show the Ikea blue is now visible from all over. 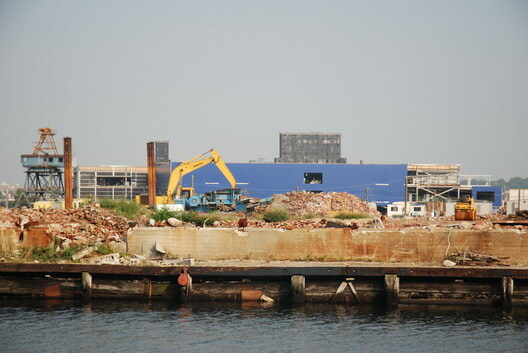 (We're especially liking the view across the Thor Equities demolition zone known as the former Revere Sugar site.) Likewise, Beard Street is in the process of getting wider by about two lanes over a distance of several blocks (so far). It's starting to look very Swedish big box on the waterfront.